2017 has been a very interesting and invigorating year for Miraglo Foundation. Our Vision of “healing people and transforming lives through education, health and research” has taken us to places we never even dreamed of locally and internationally. The Miraglo Foundation’s goal is to promote love, dignity and healing to those in need around the world and to transform the practice of health and medicine. Thanks to your generous gifts, we have been able to assist underserved communities nationally and internationally. Our international board of directors oversees all donations, gifts and expenses. 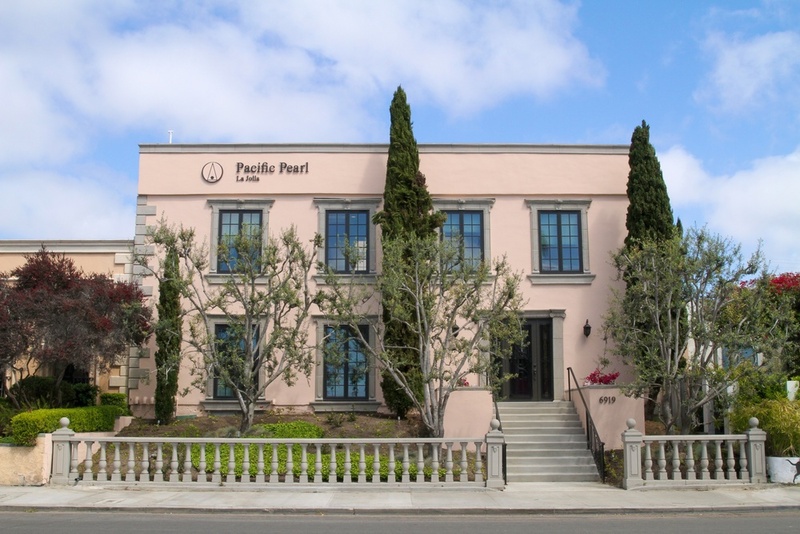 Pacific Pearl La Jolla or “The Pearl” has become a hub of Integrative Health and Healing. The Pearl is now the home to Miraglo Foundation, Guarneri Integrative Health Inc., Academy of Integrative Health & Medicine or AIHM, Consciousness Healing Initiative or CHI and the Taylor Center for Integrative Medicine Education and Research. Our goal in 2017 was to bring continuing education to improve the innovative care delivery model, which is a true blend of Conventional, Integrative and Natural Medicine. Taylor Center for Integrative Medicine Education and Research is now hosting various meeting and educational activities to healthcare providers and health seekers. Miraglo Foundation would like to thank all the individuals that have supported our vision, Healing people and Transforming lives, though education, health and research, locally and globally. No gift is too small to make t he difference to those in need. Together we can and will continue to create miracles. We would like to give a special thank you to all the individuals and organizations who made our 2017 projects possible to transform lives and communities. Our International 2018 goals are: A Solar Kitchen to Rural India to feed 20,000 people per day in Southern India . This project is in keeping with the Vatican Climate Change Conference declaring an end to wood and coal burning stoves. We will continue building a comprehensive Cardiac Institute at Sri Narayani Hospital and Research Centre in rural India. Our fundraising goal for Cardiac Surgery is $300,000. Locally, we will continue to fund many service programs that support education and health for underserved communities as well as research and education in Integrative Health and Medicine. Please join us, together we can change the world. Monarch School, San Diego, CA, a public k-12 school for students who are homeless or impacted by homelessness. Center for Community Solutions in San Diego, CA has built and maintained a core of multidisciplinary services for individuals affected by sexual and relationship violence that consists of advocacy. legal assistance, emergency shelter, professional psychotherapy, education and prevention. Community Resource Center CRC in Encinitas, CA for domestic violence education, crisis intervention skills and outreach to create paths to safety, stability and self-sufficiency. Solutions for Change University, Vista, CA assisting children from low-income or homeless families to obtain skills, knowledge and resources toward economic independence thereby breaking the cycle of poverty. Light Bridge Hospice to provide Integrative Therapies for people with life threatening disease. WHO/PAHO Nicaragua conference Miraglo Foundation is a member of the Global Health Council. SAMMM Project in Southern India a micro-loan project, empowering women to learn to craft shirts, prayer items and tote bags to become the bread winner for their families. Supporting a pre-school teacher in Southern India to provide care and education to the children of very lew -income homes, enabling the parents to work. Natural Doctors International NDI is a global health organization that promotes holistic healthcare for all “JY providing free health services to underserved communities focuses on service, educator, policy and research. DIOSA is a holistic health and empowerment program for women, children and families on the island of Ometepe, Nicaragua, the only clinic providing healthcare for 45,000. Friends of Maiti Nepal, Nepal, is the USA based organization focusing on supporting Maiti Nepal (Mother’s Home) in Kathmandu, Nepal. Maiti Nepal focuses on rescuing young children –mostly girls that have been victims of human trafficking. Our funds have been able to provide education and rehabilitation as well as healthcare, including hospice care for the women and children infected with AIDS. Blessings for the Holidays and the New Year. May 2018 be filled with Peace, Love and Good Health. Make a Donation, click here to learn more | Stay in touch,connect with us on Facebook.